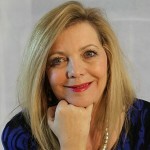 We first introduced Lesley when she shared her story behind her book and her work with Tibetan children, here Lesley shares her emotional return to India, and her meeting with the Dalai Lama. On 9th September 2002, through special delivery post, I received the foreword for my book from His Holiness the 14th Dalai Lama. I had given up hope of being one of the very few writers to receive this extremely special “gift”, so I was extremely surprised and remember crying and shaking. Accompanying the Foreword was a letter, requesting 2 copies of my book for the Tibetan Library in Dharamsala. Six months ago I decided to return to India to take my book to the Library and to also see friends I had not met for 14 years. 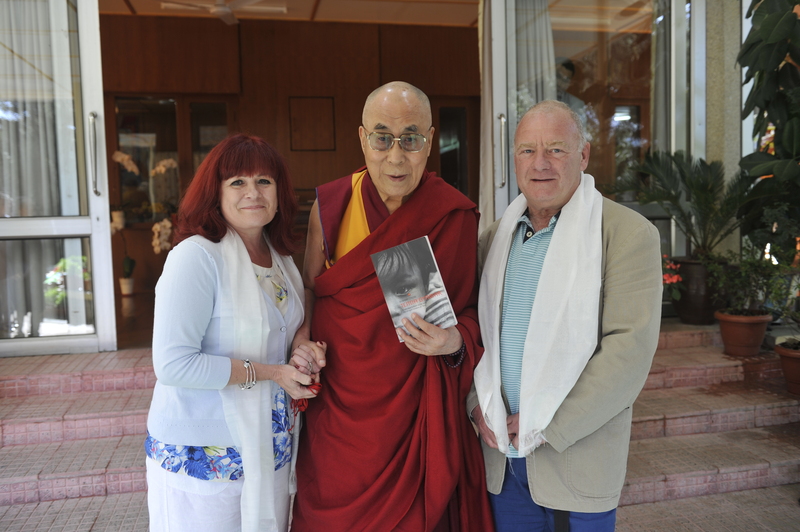 I also wanted to “try my luck” to receive a personal blessing from His Holiness for my book. My dream was to have a photograph with him holding my book! My husband and I arrived in Delhi on 1st October, moving a day later to Dehradun, where I had spent my 2 years and a day later taking the night bus for a 12 hour journey to Dharamsala. That morning we went to the main office, armed with my e-mails from His Holiness Secretary, Mr Tenzin Taklha, to ask to be in one of the few receiving lines to be next to the Tibetans spiritual leader. We waited 2 days on the eve of the 6th I received a call from His Holiness office to be at the Temple office at 8.15 “sharp”. Armed with a copy of my book, my kata (Tibetan white scarf, always given at special times, as part of the Tibet culture) and a bunch of red threads, which Tibetans wear for protection, and are blessed by the many Lamas in the monasteries. I stood in a line, all Westerners behind the Tibetans. Soon it was my turn and as soon as I walked up to His Holiness, he shook my husband’s hand and then took my hand in his and held it tightly. Although His Holiness speaks English, he had a translator who reminded him of the voluntary teaching and social work I had committed to in order to help Tibetan children and young people who had recently arrived from Tibet. I will always remember His Holiness’ words, “very good, very good”. He then held my book, again held my hand and the photographer took several photos. After kissing his hand (much to the shock of my Tibetan friends) I thanked His Holiness, walking away shaking and extremely emotional. I doubt I will ever return to India, there are so many more countries I want to visit…..yet, this visit was extremely poignant for me….not just because I had received the blessing, but 2 days later my father passed away. Two days after that, my son, who lives in Sydney, brought his wedding forward from March 2016, as his partner’s mother was gravely ill and not expected to live longer than 3 weeks. The love and support of my husband and my Tibetan friends, as well as visiting the monasteries for monks to pray for a good re-birth of my Father’s soul, was vital to my emotional wellbeing. I also met Ankit, a 16 year old India boy, who, 14 years, ago, was seriously ill with a hole in his heart. I had raised the money for him to have a heart operation and it was extremely moving to meet him once again, to hear about his education and life. I was overwhelmed when he showed me several photographs of me with him and his family that he had kept all those years. For several years since leaving India, I felt I had lost connection to my spirit, and during the 17 days I was in India, I re-connected to it and will treasure this visit, and, of course, my 2 years living with the Tibetan community, for the rest of my life.